The Mayor of London has announced new planning rules to speed up the building of more affordable housing in the city which has a shortage of homes at the lower end of the market. Sadiq Khan also announced plans for how the record breaking investment funding of £3.15 billion announced in last week’s autumn statement will be used to support 90,000 new affordable homes over the next five years. He explained that previous national rules on affordable housing investment were rigid, including no investment at all for mainstream low cost rented housing. Following negotiations with the Government, new rules mean investment in London can now be spent on a mix of homes for low cost rent and affordable home ownership. He said that it is not a ‘one size fits all’ approach to affordable housing in London as the city needs a balanced mix of homes to rent and buy. The 90,000 affordable homes will be a mix of low cost rent, shared ownership and London Living Rent, which is based on a third of average household incomes in each borough. Most homes in the Mayor’s programme will be delivered by housing associations, with the condition that their plans must include a minimum 50% affordable housing with some partners enabled to deliver at least 60%. And the new Supplementary Planning Guidance (SPG) sets out for the first time an innovative approach both to speeding up decisions in the planning system and increasing the levels of affordable housing. Khan said that the SPG, which has been developed from extensive discussions with councils and the housing industry in London, is the first step to raising affordable housing levels from the current low level of 13%. It aims to set out a clear, consistent, and transparent approach to ‘viability’, the process through which a development’s affordable housing contribution is assessed and offer developers a new quicker route through the planning process, removing the requirement for protracted viability negotiations if they meet a minimum 35% affordable housing. It will also support new Build to Rent developments where institutions like pension funds invest in blocks of long term private and affordable flats to rent. This is well established in other part of Europe and the United States and now a growing sector in the UK. ‘London is in the midst of a housing crisis with thousands of Londoners priced out of a city they call home. I have been clear that fixing the housing crisis will be a marathon and not a sprint, but I am determined to lead from the front and get on with building genuinely affordable homes for Londoners to rent and buy,’ said Khan. ‘These announcements today demonstrate real progress on the long road towards fixing London’s housing crisis. The record breaking investment I have agreed with the Government means we can start building a range of different affordable homes to suit Londoners’ needs,’ he pointed out. ‘Together with my new planning guidance, we can begin to boost the number of homes built in London and move towards a long-term strategic goal of half of all new homes being genuinely affordable,’ he added. He also explained that the planning guidance, which is subject to a three month consultation period, is just one in a range of to deliver more affordable housing in London and he also expects public land to deliver as much affordable housing as possible and is leading by example with sites owned by Transport for London. He has already brought forward sites at Kidbrooke for 400 homes of which half will be affordable and land at Landmark Court in Southwark and Fenwick South, near Clapham North station, both of which have the capacity to deliver new affordable homes alongside commercial and retail space. 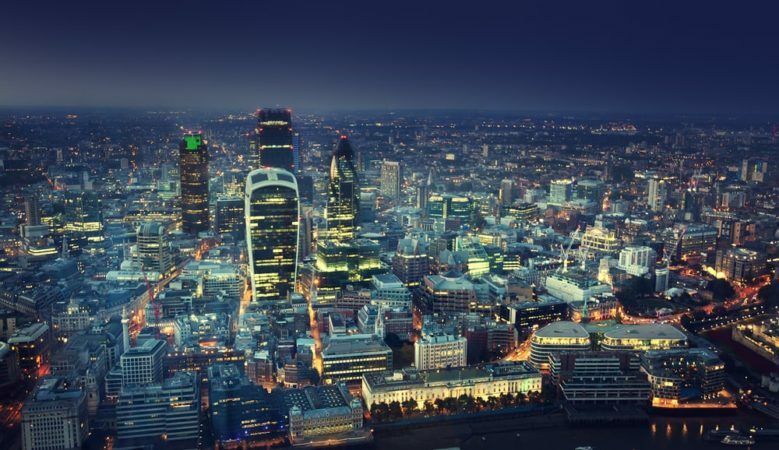 Ian Fletcher, director of policy at the British Property Federation, believes London is leading the way in seeking to have a planning policy on Build to Rent and described the new planning guidance as immensely helpful to the sector. ‘When you are trying to do something new in housing inevitably you need to develop understanding, and the Mayor, his Deputy and team have wanted to be at the forefront, working with planners and investors to cast a sensible planning policy,’ he said. ‘What you want as a developer or investor, such as a pension fund, is clarity and understanding that rental homes are different to those for sale, which this guidance delivers. The sector wants to deliver tens of thousands of quality rental homes for Londoners, and those at discounted market rent, in a tenure blind manner. Recognising the sector and how it works in this guidance is a big help,’ he added. Greystar managing director Mark Allnutt, said it is good news that planning rules are being relaxed to allow the new funding to be used across a wider range of housing types for rent as well as sale. ‘London not only needs more rental accommodation, but more of this needs to be designed, built and managed for that purpose. Greystar rental communities offer first class apartments and amenities to suit people at different stages in their lives across a wide range of rent levels,’ he explained. David Montagu, is chair of the G15 which represents London’s largest housing associations and believes that the Mayor has secured the very best deal for Londoners. ‘He has listened to housing associations and given us the flexibility we asked for,’ he said. According to Geeta Nanda, chief executive officer of Thames Valley Housing Association, the settlement for London is a great success and gives associations the flexibility to build a range of homes for very many people. ‘Not only is this important for those with dire housing needs but also for the economy. London needs its workers to be well housed for the economy to grow,’ she added.